Recently I wrote a post about Wolf Hall’s adaptation for television. Four episodes of the six planned have aired on PBS and it has been a treat. I must say that the ideal way to enjoy Wolf Hall is to read the novel and then watch the program. The television production has been true to Hillary Mantel’s work. There is another must watch television adaptation coming this summer and I can’t wait. Jonathan Strange and Mr. Norrell was long listed for the Man Booker Prize in 2004, won the Hugo Award for Best Novel in 2005, was a Guardian First Book Award Nominee in 2004, etc. In my humble opinion the book is deserving of every award it won and were I to compile a Top Ten list, Jonathan Strange & Mr. Norrell might very well end up on the list. The story follows the two title characters, who are practitioners of magic living in England in the early 1800s. 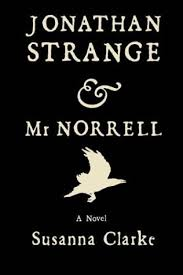 Mr. Norrell is retiring and careful, while Jonathan Strange is a larger than life figure who is taken on as a student by Mr. Norrell. You can watch the launch trailer below and you can watch the seven-part television series based Susanna Clarke’s novel this summer on BBC America. On Easter Sunday, April 5th Masterpiece will begin airing Wolf Hall. The miniseries will air in 6 episodes on Sundays, April 5-May 10, 2015 at 10 PM on PBS. The miniseries brings to life both Wolf Hall and its sequel Bringing Up the Bodies by Hilary Mantel. 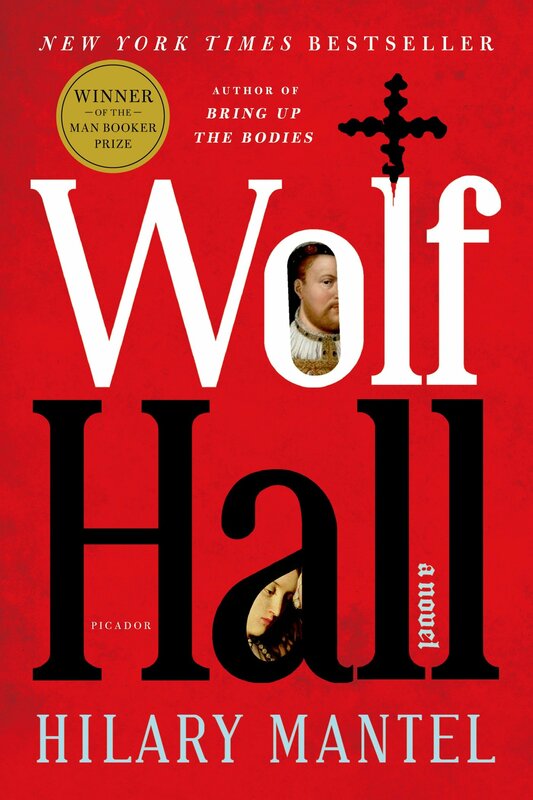 It was because of this upcoming miniseries, that I finally decided to read Wolf Hall, a book that had been on my to-read list since it won the Man Booker Prize in 2009. Wolf Hall takes you into the world of Thomas Cromwell, a world full of intrigue and danger. Cromwell, the son of a brutal blacksmith, ran away from home at the tender young age of 15 to seek his fortune. He finds fortune in Florence, Italy when he is taken in and trained by the Frescobaldi family. After working for them, he goes to Antwerp to become a trader and merchant in his own right building wealth and rising to prominence. Cromwell is a political genius, a briber, a bully and a charmer, who becomes King Henry VIII’s right-hand man. In Wolf Hall, he pits himself against parliament, the political establishment and the papacy with far-reaching consequences for England. Tudor England truly comes to life in Hilary Mantel’s novel and the reader sees court life through the eyes of Cromwell. That is the novel’s genius, that the reader, who almost certainly has to be a common person in today’s world will view Tudor life at court through someone who is not noble or aristocratic. Wolf Hall is a wonderful exploration of how King Henry VIII’s desire shaped England and how one man worked to bring those desires to fruition regardless of who stood in the way. Cromwell’s work in shaping England to Henry’s desires is a testament to his genius. If you do have the inclination to read Wolf Hall make sure to watch the PBS miniseries. Wolf Hall can be a laborious read, but well worth it. If you are not inclined to labor, make Masterpiece appointment television for next few Sunday evenings. Book Details: Published by Picador (August 1, 2010), 604 pages, ISBN: 978-0312429980.